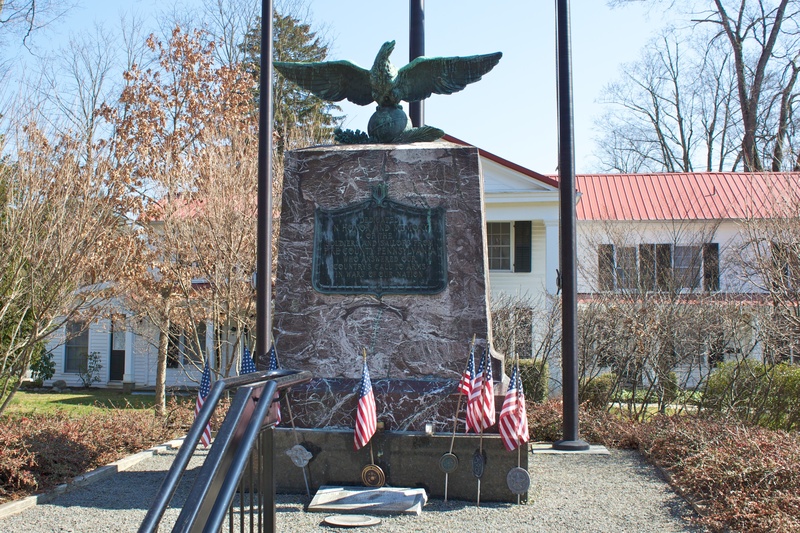 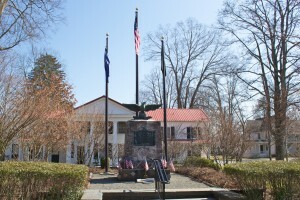 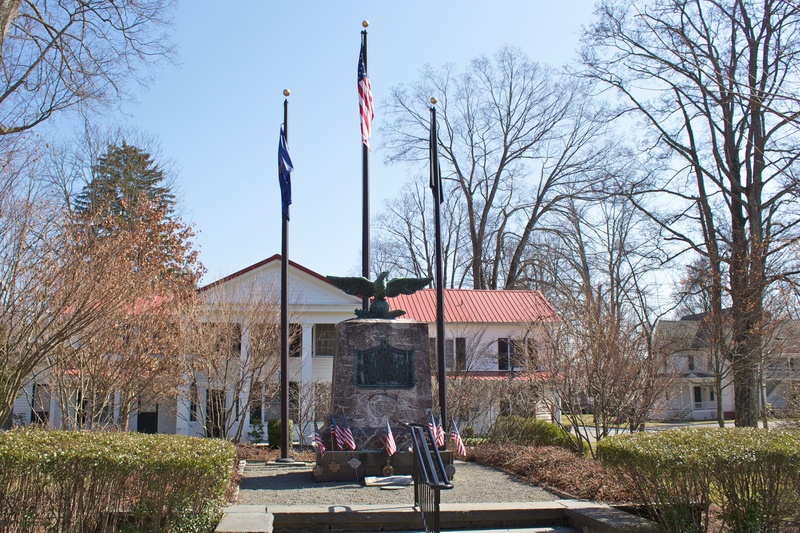 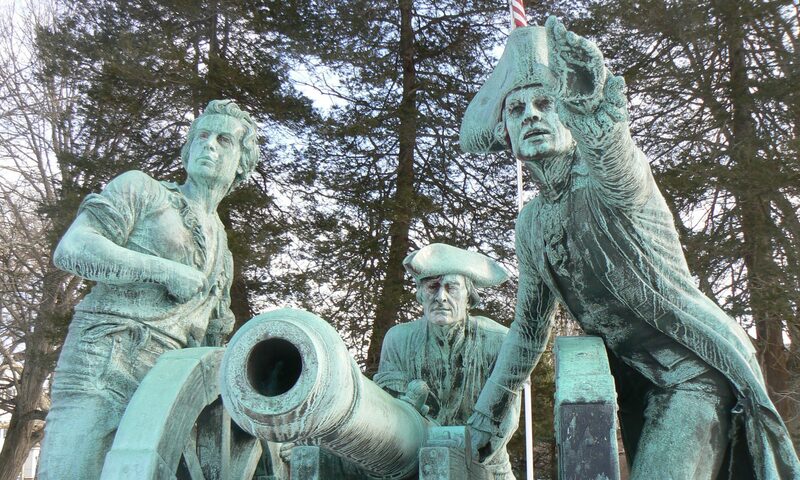 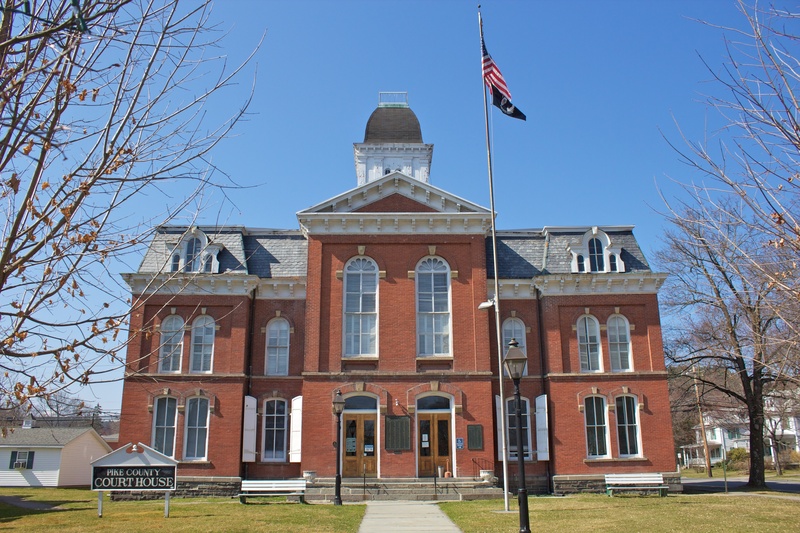 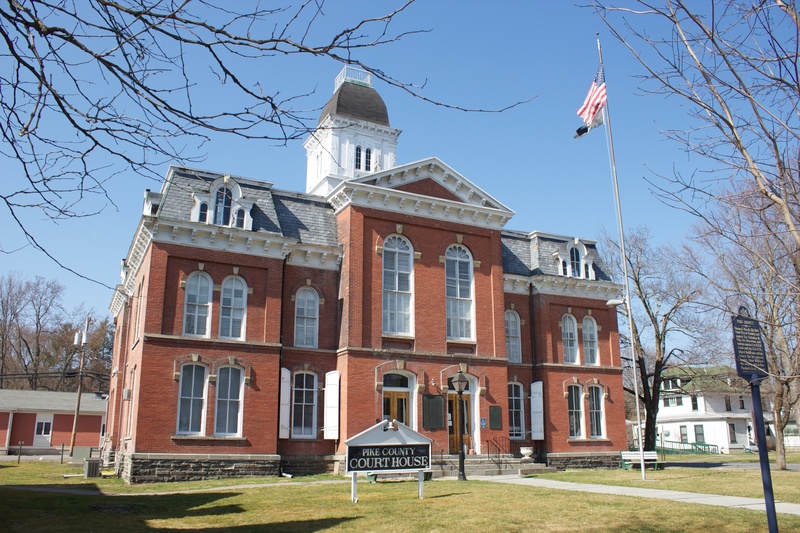 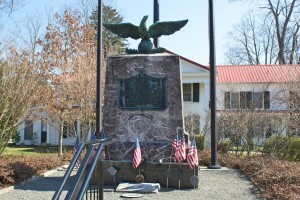 Milford, Pennsylvania, honors war veterans and heroes with three monuments in its historic district. 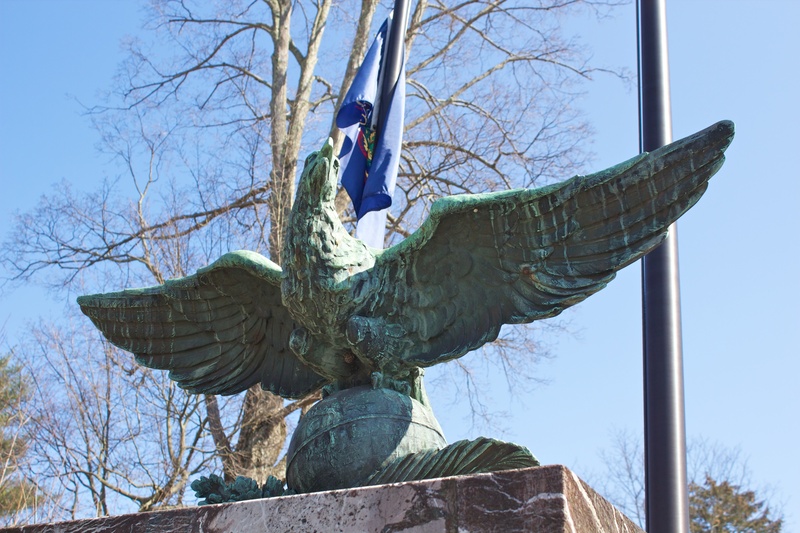 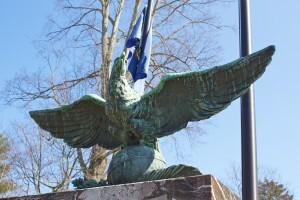 The monument also features a bronze eagle atop a small globe. 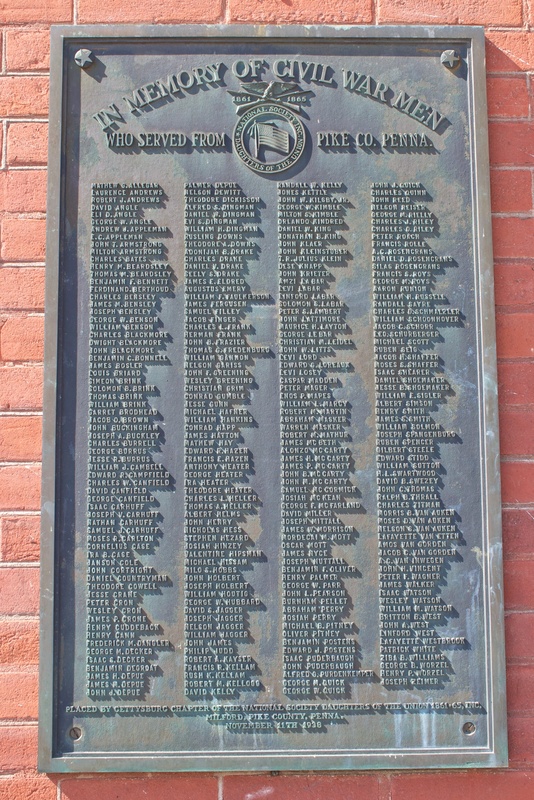 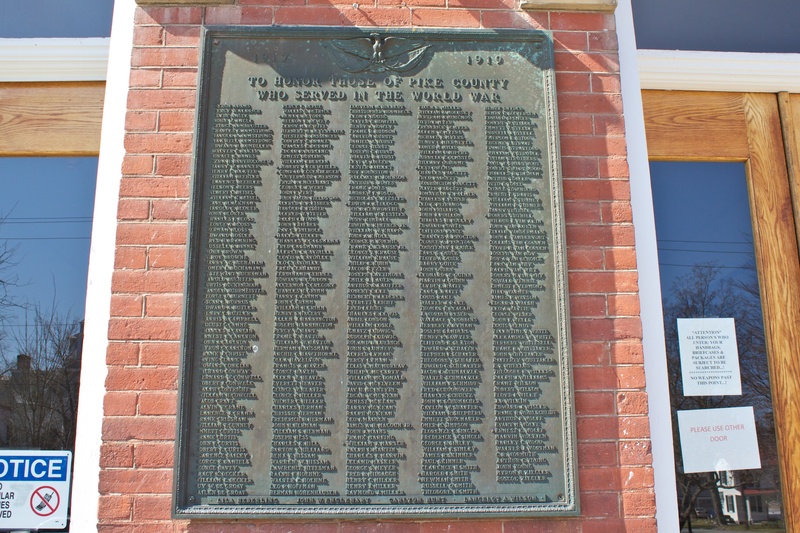 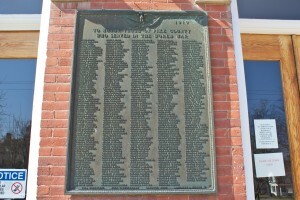 The plaque has five columns of names listing county residents, and highlights 15 residents who died during their World War I service. 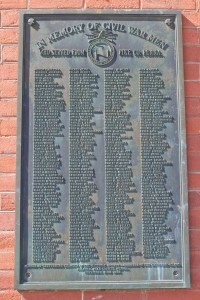 The plaque contains four columns of names. 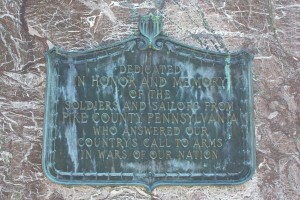 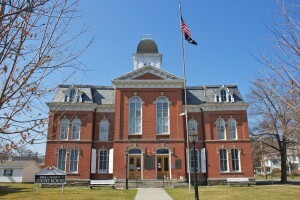 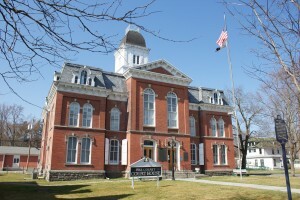 Milford is the seat of Pike County, which was formed in 1814. 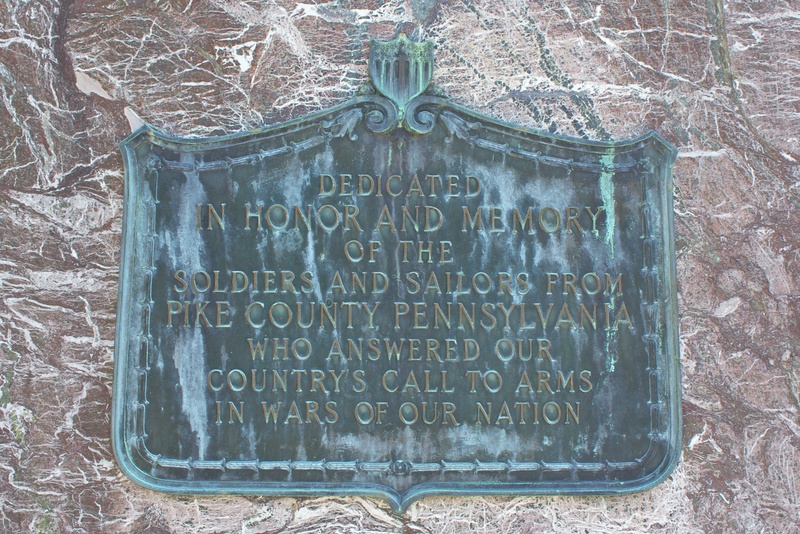 The country was named for Zebulon Pike, who discovered Pike’s Peak and was killed while serving as a general in the War of 1812.